I’m excited about my community group meeting tonight (my community group is a group of 9 people from my church that gets together weekly to hang out, talk about life, and talk about a book we’re reading). We started the group a couple months ago by reading the Didache (which you can read for free online here). We are now reading Dietrich Bonhoeffer‘s Life Together. Life Together is one of my favorite books, from one of my favorite authors. I first got interested in Bonhoeffer my freshman year of college when I read The Cost of Discipleship. Then, Jen took a Bonhoeffer Seminar class during her final year at Union University. Because of this class, both our interest in (and our collection of) Bonhoeffer’s works grew. I am really excited to read Life Together together with friends. 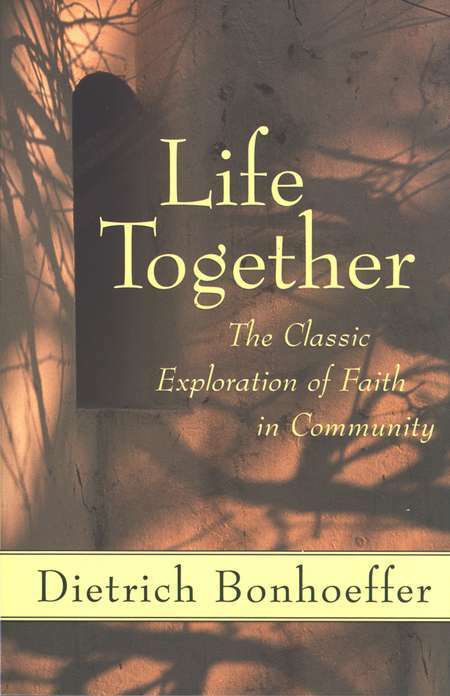 If you have never read Bonhoeffer before, I think Life Together is a great place to start. It is a little book, but it is jammed with great thoughts. After that, I would recommend The Cost of Discipleship. If you are still interested after this, I would recommend Eberhard Bethge’s Dietrich Bonhoeffer: A Biography (I haven’t read any of Metaxas’ biography and based on the significant amount of debate around it, I think it safer to recommend Bethge’s of which I have read large portions). After having read all of this Bonhoeffer, I recommend moving on to his Letters and Papers from Prison. These are best understood in light of the context of his life, and there are some real gems. Life Together is one of my favorite Bonhoeffer works, too. I love the line, “Don’t let your love for the church that should be cause you to hate the church that is.” I’m sure I’m misquoting that, but the general idea is right. Prison Letters is a dense book, and just full of challenging ideas. The world is much poorer for losing Bonhoeffer when it did, though I suspect that evangelicals would be less comfortable with him if he’d gone on writing about religionless Christianity. Prison Letters is dense. It is interesting how everyone wants to claim Bonhoeffer as their own, but unfortunately, he didn’t live long enough for us to see where he would come down on several things. 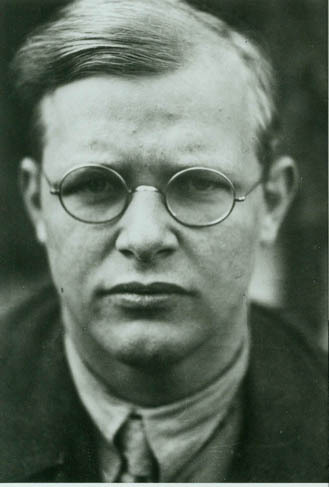 Perhaps that’s the plan of God – that Bonhoeffer did not live long enough for anyone of us to claim him as our own, because he belongs not to any of us, but with Christ. If Christ were here today physically, we would also like to claim him as our own, but I’m pretty sure that he belongs to none of us but his own; after all, this is what “holiness” means.